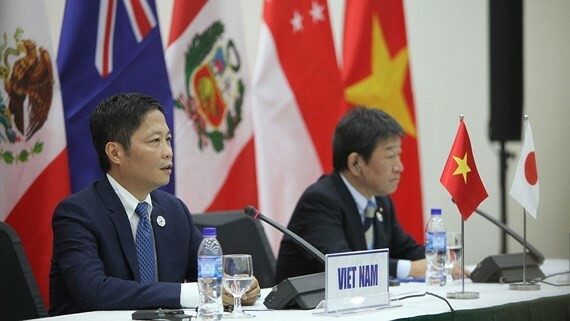 Joining the Comprehensive and Progressive Agreement for Trans-Pacific Partnership (CPTPP), member nations including Vietnam will have their roadmap to reduce import tariff to 0 percent when the agreement takes effect, expected at the end of this year. The statement was made by Minister of Industry and Trade Tran Tuan Anh after the agreement was successfully signed in Chile on March 8. Talking about CPTPP impacts to Vietnam, Mr. Luong Hoang Thai, head of the Multilateral Trade Policy Department under the ministry, yesterday said that the market opening content is kept unchanged like in the Trans-Pacific Partnership (TPP), meaning standards on market opening are very high. About cargo trade, nearly 100 tariffs will be reduced to 0 percent according to the roadmap, which usually lasts about seven years to developed nations and longer to developing nations to suit development conditions. Basically, member nations will decrease import tariff on all commodities from Vietnam to 0 percent. At present, Vietnamese firms are imposed the average tax rate of 1.7 percent when exporting their goods to CPTPP nations. With the block market of 500 million people and the quite large economic scale of many member nations, benefits for Vietnam are relatively clear, said Mr. Thai. Besides cargo, other fields will benefit Vietnam including services, investment and public shopping. During the agreement negotiation process, Vietnam focused on commodities relating to the life of the majority of Vietnamese people such as seafood, garment and textile, footwear and food processing. Recent studies show that CPTPP impact to the economy is from poverty reduction. It is expected to reduce 0.6 million people subject to hunger and poverty. However, CPTPP will also put Vietnamese firms in severer competition. Breeding is likely to see large competition especially to chicken and pork firms. Vietnamese rivals might be ASEAN nations, South Korea, Japan and Australia since they have goods structure similar to Vietnamese products. Hence Vietnamese firms should prepares for receiving opportunities and challenges from CPTPP. In fact not all challenges are difficulties. 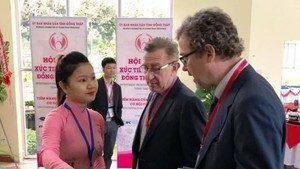 For instance when Vietnam attended the free trade agreements between ASEAN and Australia and New Zealand, many were in the point of view that it would be difficult for Vietnam to compete with the two nations in the dairy industry because their costs are lowest in the world when tax rate is cut to 0 percent. However the dairy industry has risen to develop more strongly than others. Of course some fields will be unable to compete after Vietnam's CPTPP membership, so economic structure should be gradually changed to develop fields with competitive advantages.